Limited Time Offer. 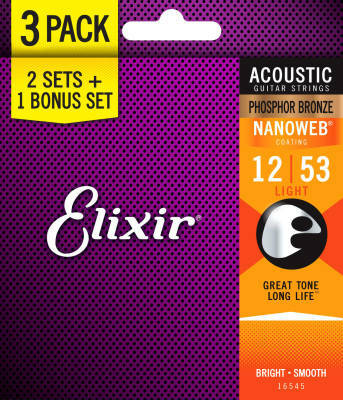 3 sets for the price of 2 on Elixir Strings' popular Acoustic Phosphor Bronze Light Strings with NANOWEB Coating. Stock up on strings now so you always have some on hand. Elixir Strings Acoustic Phosphor Bronze with NANOWEB Coating deliver distinctive phosphor bronze warmth and sparkle together with extended tone life that players have come to expect. 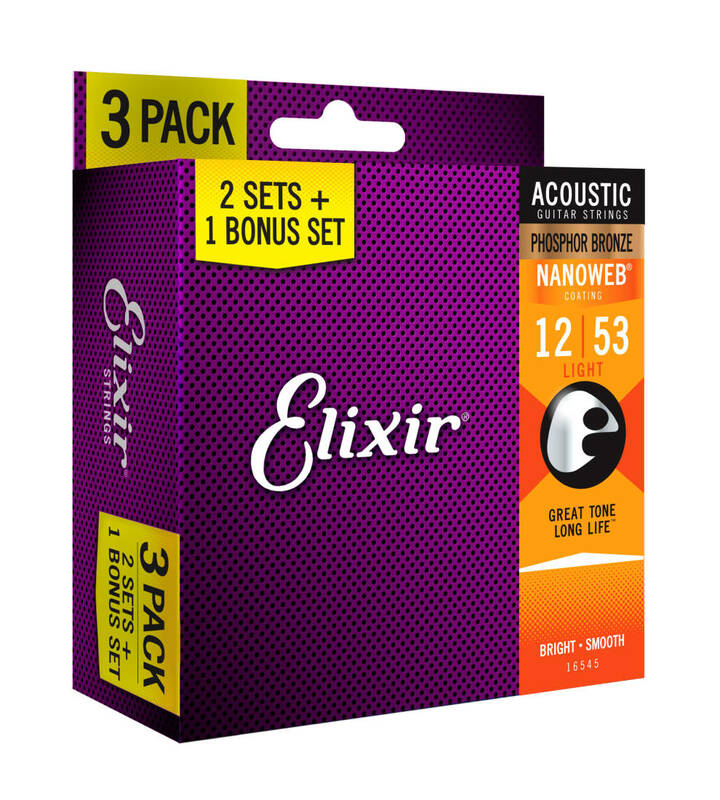 Elixir Strings provide consistent performance, smooth feel and reduce finger squeak. 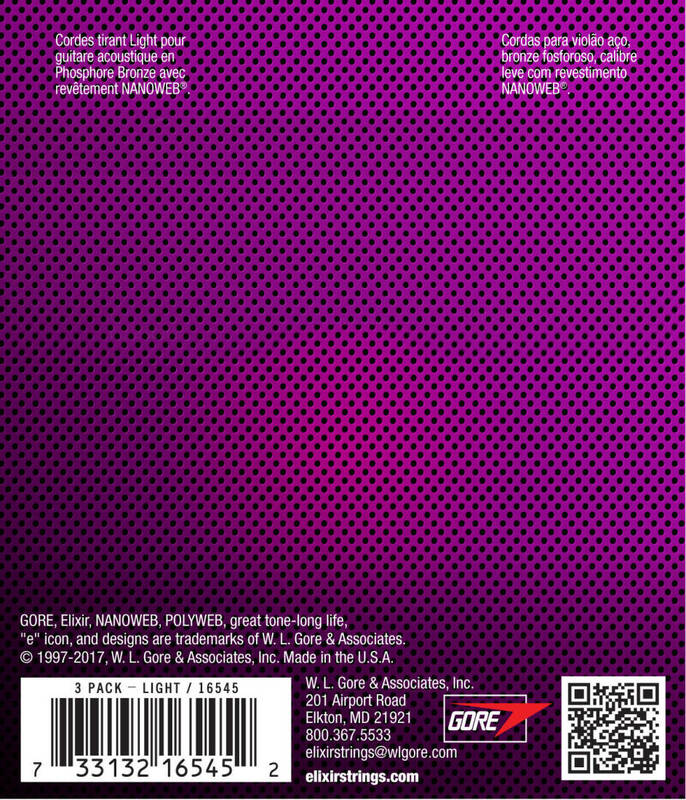 With less hassle and expense of frequent string changes, you enjoy more time making music. HD Light: 013 017 025 032 042 053"